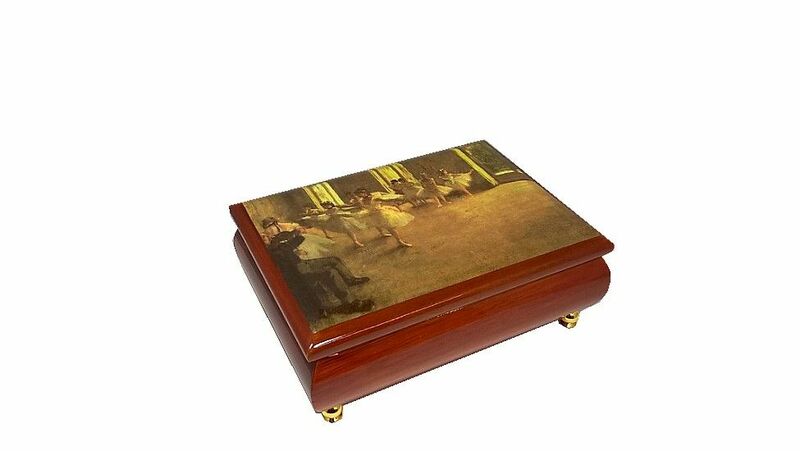 This very pretty wooden musical jewellery box is an ideal present, the music plays when the lid of the musical jewellery box is opened. 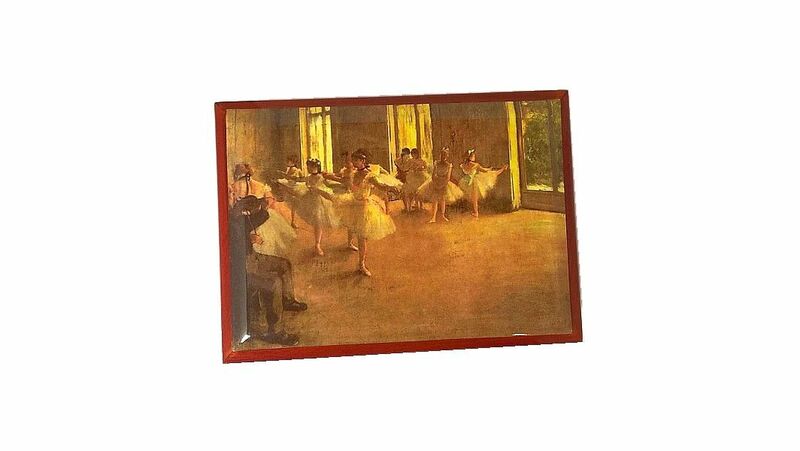 The picture on the lid depicts a ballet class scene as a painting in vintage style. The box is then finished in a high gloss lacquer. 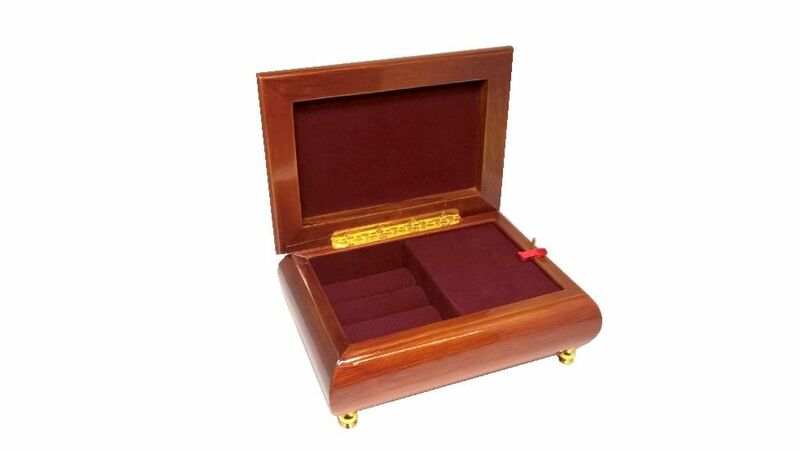 The inside of the musical jewellery box has been lined with a dark red / burgundy baize which has been sectioned into a compartment with padded slots for rings. The musical movement is housed under a cover within the box, and unusually this cover can be lifted off to view the musical movement beneath. This music box is fitted with a clockwork musical movement wound by a key on the bottom of the jewellery box. The box is also fitted with four gold coloured feet. The musical movement plays the tune Swan Lake. 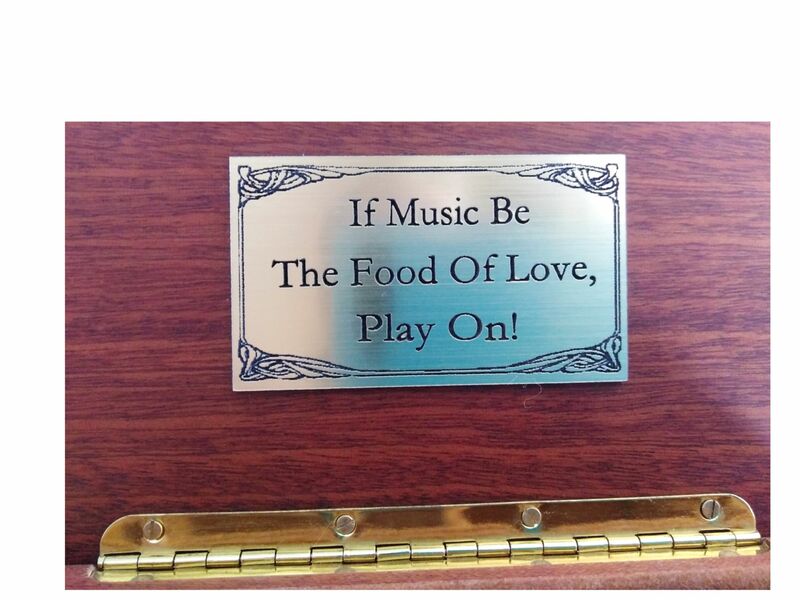 If you would like to personalise this box, we offer an engraved plaque with your special personal message. Please confirm in the boxes above if you require this option.